How does Coaltec improve combustion? Facilitates oxygen diffusion to internal regions of Coal, reducing surplus air requirements. 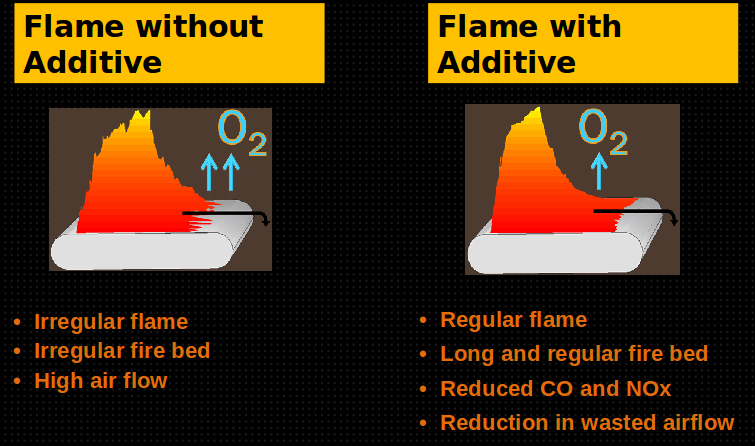 Use of the additive results in uniform and synchronized combustion resulting in higher heat intensity for a longer period. 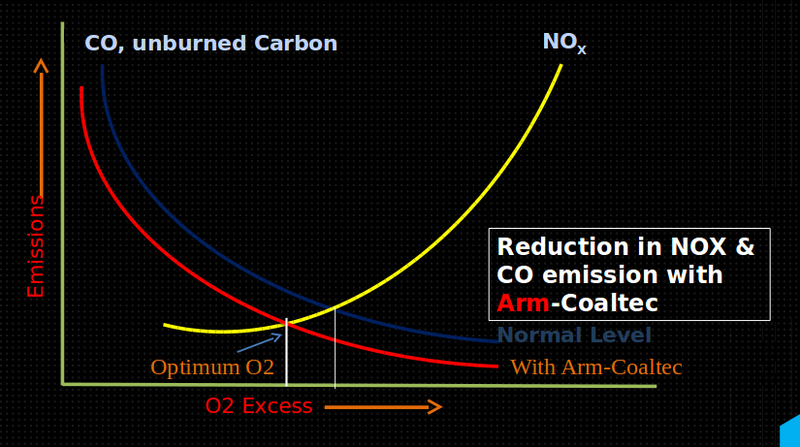 Is there any reduction in surplus Air, CO & NOx? Does it help in fire and flame stability? How do I estimate my needs for Coaltec? We strongly recommend ARM Coaltec to meet your operational & environmental objectives. Please provide details concerning your actual installation & end use application to enable us to serve you better. Based on this data a detailed offer for dosing of the additive will be provided. Kindly submit your CDE Customer Data Evaluation for the best response. Does it have any economic & operational benefits? How does it benefit the enviroment? Any adverse impact on the Boiler/refractory walls, Coating of the Boiler/Kiln & end product? 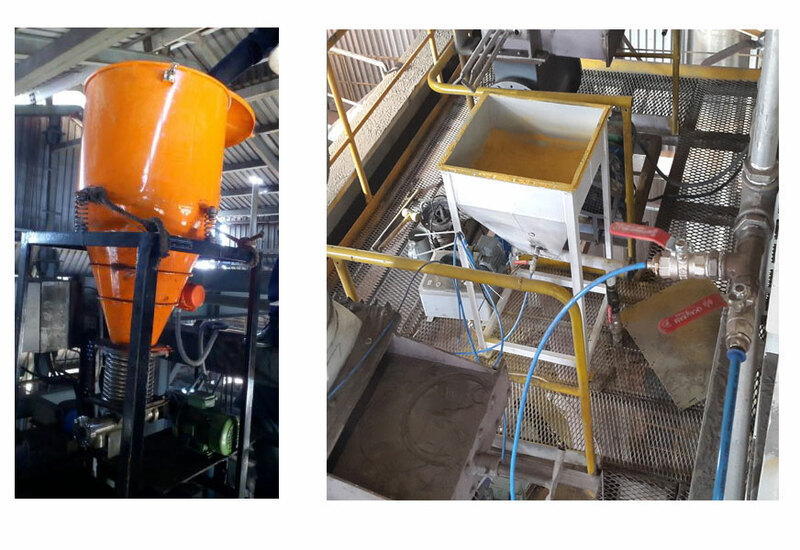 The additive will not have any adverse impact on the Boiler or any of the contact surfaces, refractory wall, coating of the kiln & end product. Numerous testimonials of companies after using the product for more than a year are available. The testimonials establishes the above fact and places on record the positive impact of the additive. Are there any residual traces of the additive after the combustion process? There are NO RESIDUAL TRACES of the additive after the combustion process. Are there any residual gases post burning with Coal/lignite/petcoke having any adversarial impact on any of their processes? Negligible amount of residual gases are emitted, so miniscule that far from having any adverse impact, it would not even register on a gas analyser. Is there any presence of heavy metals or halogens in the additive? There are no halogens or heavy metals present in the additive. What dosing equipment can be used for application of additive? Please find below pictures for dozers used for our additive. The same can be modified and adapted to suit individual requirements. Such simple dozers can be fabricated at any workshop with the screw feeder made of stainless steel. Specifications and point of dosing can be mutually ascertained.